I swore I wasn't going to do a gift guide this year but then I was inspired by my own imagination and decided I'd do a few, based on a few different personalities that I think are fun. I am that person; I have 4 different planners and am almost overwhelmed by the number of notebooks I have but I wouldn't have it any other way. I think planners are the easiest people to shop before because they appreciate the little things that might not seem like gifts to others. You can go to almost any store and find something whimsical and practical for the planner in your life. 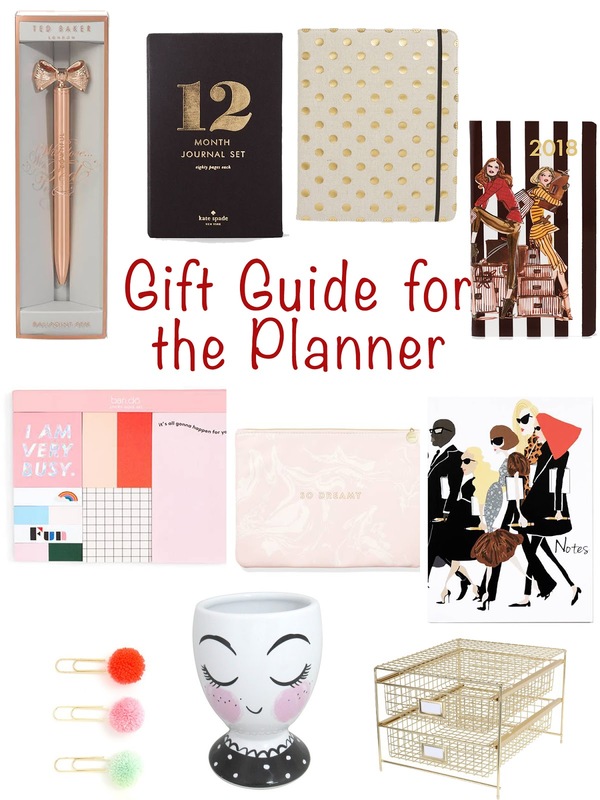 What are your picks for the planner type?